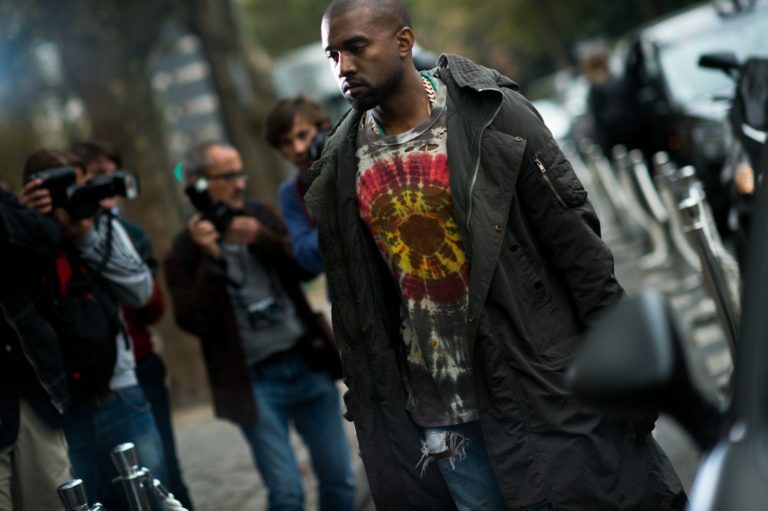 During the 1960s and 1970s tie-dye became popularized by hippies and new age rock stars. It also made a brief reappearance during the 90s. But the art of dying garments in this way can be traced back even further than the 1960s, to the ancient civilizations of Asia and Africa. The art is known as shibori in Japan and is thought to have been used there since at least the 8th century, being used to create unique patterns on garments. This ancient art of dying clothes has once again come to the forefront of the fashion world, with examples for the upcoming 2019 seasons being seen on the runways of Paris and Milan. 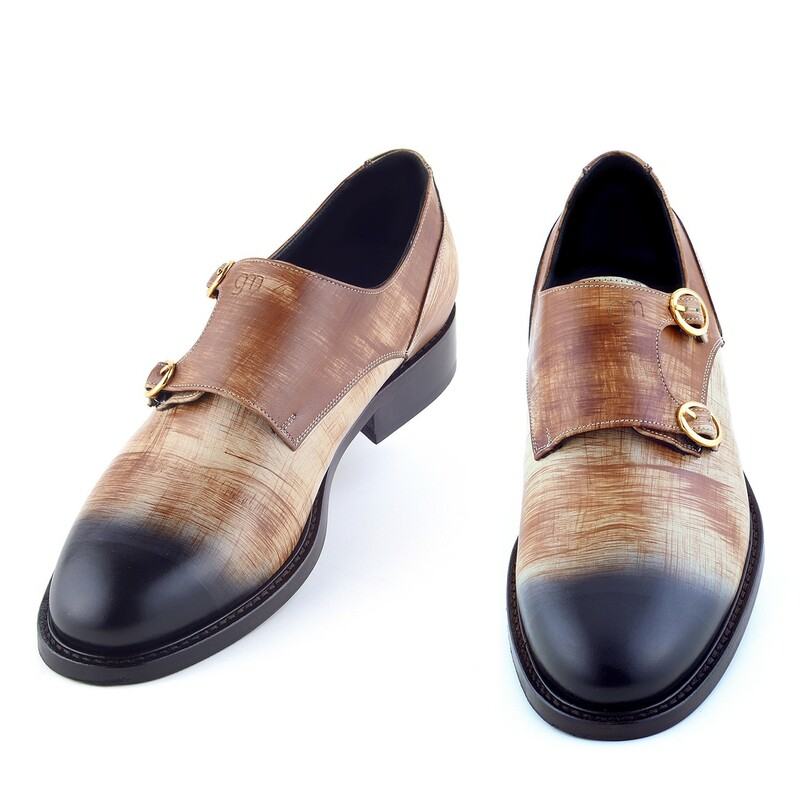 Being always on trend, GuidoMaggi has used tie-dye as an inspiration and created some luxury elevator shoes for men who want to stay on top of the trends without compromising on comfort or quality. These luxury height increasing shoes are designed primarily as shoes for short men but can add an extra few inches to the height of all men to increase confidence. 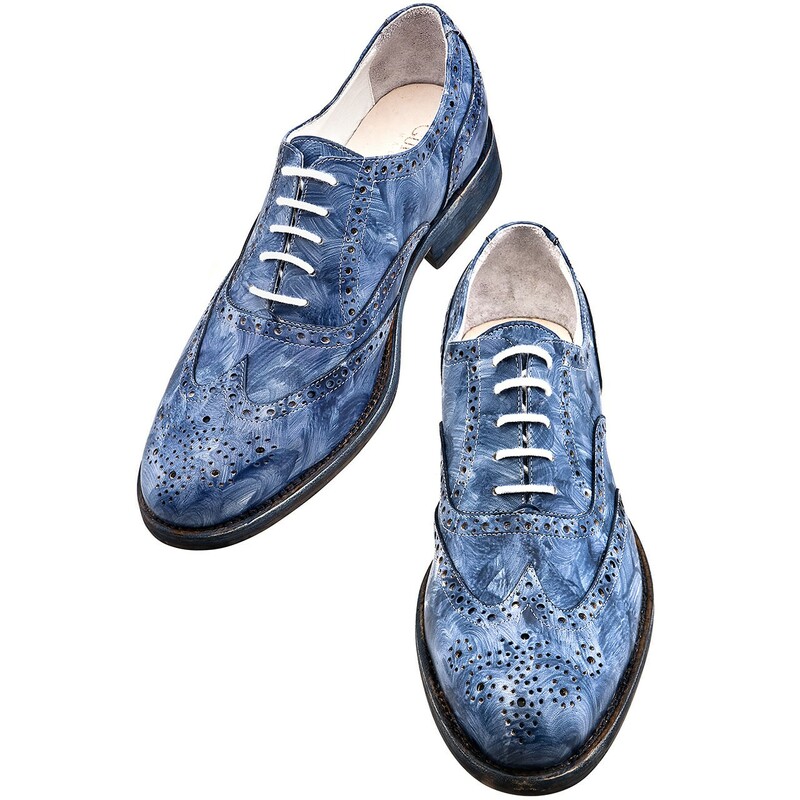 The Monet is a luxury hand painted shoe; the ideal mens elevator shoes for this season. 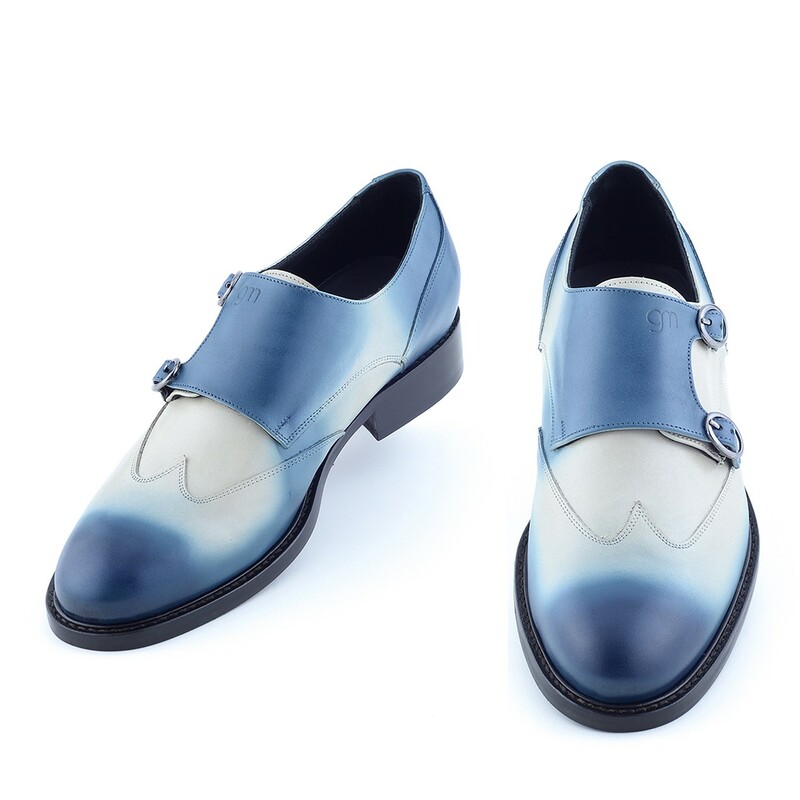 Featuring a unique hand painted blue leather upper, these elevated shoes will add up to 3.1 inches to your height and will add a luxurious touch to the tie-dye trend. 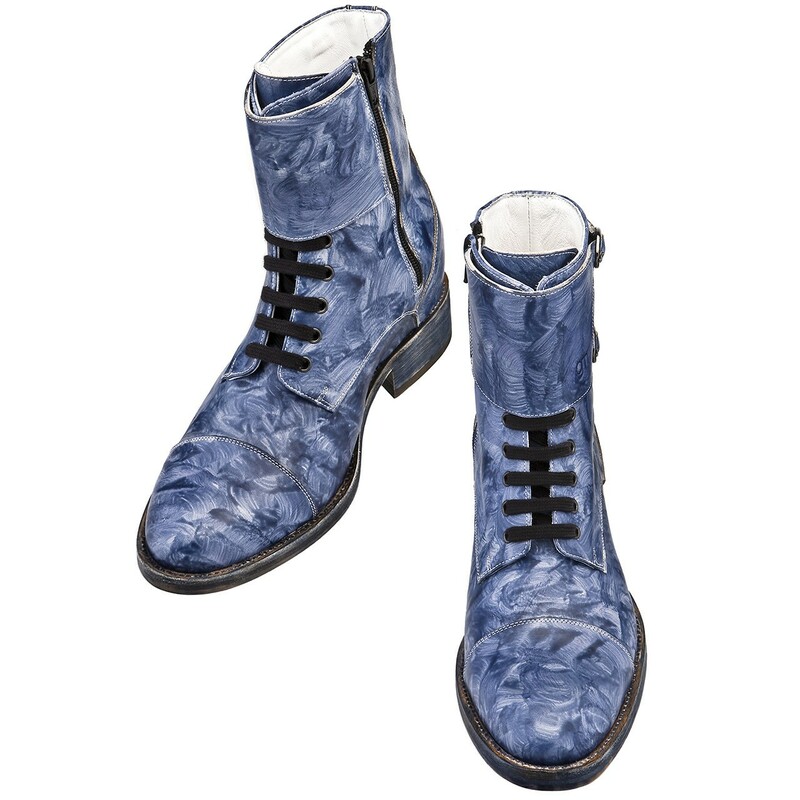 For a similar style, the Van Gogh delivers the trend combining height shoes with boots to create a stylish, contemporary pair of lace-up and zip elevator boots. These unique hand painted leather boots can even increase your height by either 2.75 inches, 3.1 inches or 4 inches. Paying homage to the tie-dye trend is the Sanremo. Handcrafted using the Patina technique, these navy blue and white elevator shoes for men are designed to add a touch of elegance to your wardrobe with a classic double buckle, while keeping you on trend and adding up to 3.1 inches to your height. If a more subtle and sophisticated look is for you, the Corso Vittorio Emanuele is ideal for your wardrobe. Using the Patina technique to create unique shades of color on the leather, these height increasing shoes are designed to stand out and be noticed. With the rich brown tones and elegant double buckle they are the ideal shoes for staying on trend with the tie-dye style without overdoing it.